Stray dogs disappear when you stop feeding them: wind power outfits evaporate as soon as governments slash the mandates, targets and subsidies that nourish them. Back in June, the Progressive Conservatives snatched power from an arrogant and out-of-touch Liberal government, that was headed up by the malevolent Kathleen Wynne. One of their first moves was to cancel hundreds of renewable energy contracts, in an effort to return affordable power to their constituents. Here’s the Press Release that detailed the End of Days for big wind in Ontario. TORONTO – Ontario ratepayers will benefit from $790 million in savings thanks to the Government of Ontario’s decision to cancel and wind down 758 renewable energy contracts, Minister of Energy, Northern Development and Mines Greg Rickford announced today. All of the cancelled projects have not reached project development milestones. Terminating the projects at this early stage will maximize benefits for ratepayers. Rickford also confirmed that the government intends to introduce a legislative amendment that, if passed, will protect hydro consumers from any costs incurred from the cancellation. Even after all costs are accounted for, ratepayers can expect to benefit from $790 million in savings from this one decision. Ontario’s renewable energy rent seekers were, no doubt, gutted with that revelation. However, initially at least, they believed that the new government would leave long-planned projects alone. Alas (for them) the Progressive Conservatives are determined to take the axe to projects which have been on the books, for years. Wind Projects Increasingly Risky, Ontario Says “Nein” To $60 Million German Wind Park Project! According to the online business daily Handelsblatt, German green energy hustlers and creditors are fuming over the Ontario government’s decision to halt the 54 million euro White Pines wind energy project by Bremen Germany-based WPD. Wind energy opponents, who have grown in strength worldwide, view the recent development as a major victory against the destruction of Canada’s natural landscape. 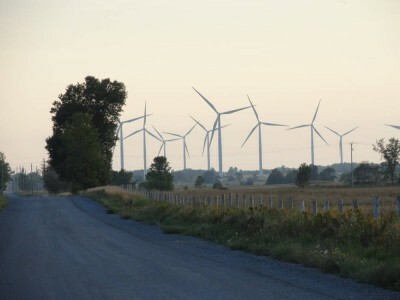 The County Weekly News site here reported: “It was welcome news for people who have been battling the erection of wind turbines in Prince Edward County. Once a province that welcome wind energy projects, Ontario has slammed the door on them since the province’s new progressive conservative government has come to power. Citizens have had enough of the high environmental price tag that comes with the volatile green energy source. According to the Handelsblatt, Ontario’s newly elected government promised to halt the permitting of new wind energy projects across the province. However, it turns out that also already been permitted projects or those under construction would be halted as well, much to the delight of the growing anti-wind energy movement. The Handelsblatt reports that citizens are becoming increasingly fed up with wind parks blighting the natural landscape. The new progressive conservative Ontario government agrees. WPD chairman Hartmut Brösamle told the Handelsblatt that they had worked on the White Pines project for 10 years, getting all the permits and feed-in and financing contracts signed, and so the stop came as a surprise for WPD. Brösamle also told the Handelsblatt that company hopes the government will change its mind and allow the project to move forward. 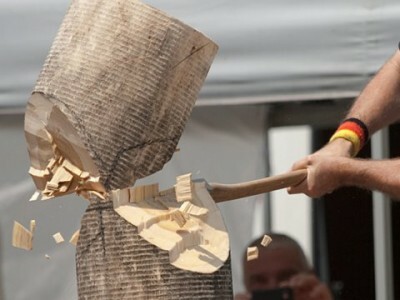 The halting of the White Pines project also effects other involved parties, such as the German KfW public bank (100% state-owned) and the Munich public utility. So expect German government officials to put considerable pressure on Canada to reverse the project halt. About time politicians started looking after their citizens and voters and not those sucking out taxpayers subsidies to provide unteliable high cost power. For years Ontario’s Progressive Conservative (“PC”) party sympathized with rural Ontarians who are being victimized by torturous industrial wind turbine noise emissions. However the PC party would declare, “we’re not the government” and there was not much they could do to end the tragedy except to say how wrong it was. Until this June when the PC party won the election and formed a majority government. Among their first acts, the new PC government passed legislation, “The Urgent Priorities Act” which cancelled the White Pines wind project in Prince Edward County that was half constructed. The legislation also provided generous compensation for the developer. All of the language about the cancellation focuses on the mitigation of high electricity prices and damage to the environment. Unfortunately not a peep has been uttered about the harm to persons including children caused by industrial wind turbines. The PC’s campaigned on being a party “for the people”. But the longer they reign without helping the people who are being harmed by wind turbines (that can be turned off with the flick of a switch,) the more complicit they become in the fraud and the better off the industry is. This article didn’t mention that the wind projects in Ontario that are up and running, where people have been/still are experiencing and reporting harm must be turned off. We’re waiting patiently and respectfully for this new government to take ethical action and protect people being harmed.